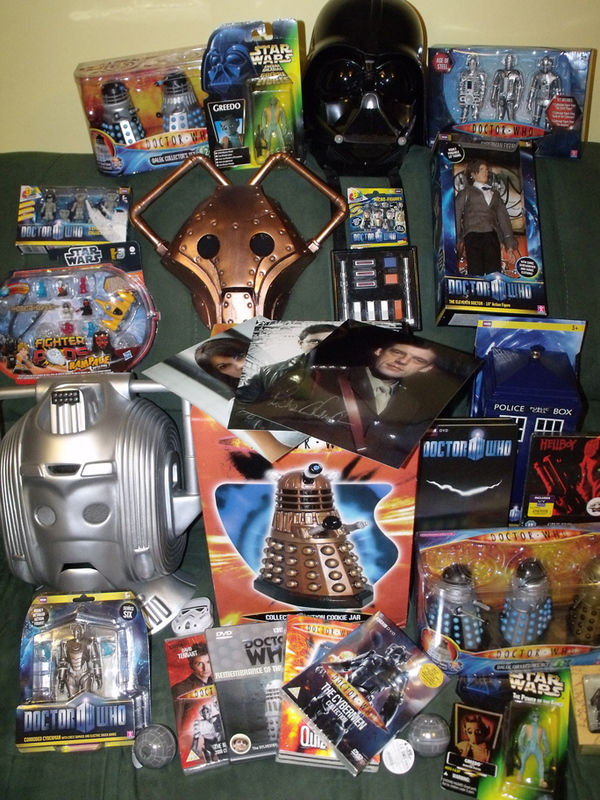 Just some of the great prizes that can be won at the Exewing Sci-Fi Day including, Props, DVD’s, Toys and Autographed Photos, many more prizes will be on offer. Tombola’s, Raffle’s, Fancy Dress, Treasure Hunts are amongst the activities where prizes such as those pictured can be won. There will be traders present who will be selling a wide range of sci-fi merchandise, where bargains can be found. All happening at Pecorama on Sunday June 30th at the Charity Sci-Fi Day.